When kids get sick at school you will hear two phrases over and over. “I want to go home.” And “I want my Mom”. Whether it’s a fever or an upset stomach they want to take the day off school and rest near their parent. Daylight kids are no exception. For the students that live at home with their parent or relatives they stay home for a few days and rest. But for our children in the dormitory they can’t go home to their parents. Either their parents are not alive or they live far away in the desert. With these children Angelina “Mama” Kimpur steps in to help them. She was helping Daylight student Dan feel better last week. Dan is a Daylight student who stays in the Dormitory. Dan’s father passed away and his mother lives several days drive into the desert in the neighboring country of Uganda. When Dan got sick with a runny nose and a fever he was given the special Mama Kimpur treatment. For kids who live at the Dorm Angelina Kimpur takes extra time to bring them down to the Kimpur house and nurse them back to health. Angelina believes that every sick child deserves to “Go Home with a Mom” and she is always ready and willing to be Mom for kids whose mom’s are not able to help nurse their child back to health. Remember that Daylight Kenya Director Michael Kimpur is coming to Minnesota in April! We encourage you to take the opportunity to come hear him speak at a local church, invite him over to meet your friends, or grab a cup of coffee April 8 – May 1st. Michael’s speaking schedule is very full on Sundays and Wednesdays but he will be free during the day and select evenings by appointment. Please email Nathan Roberts nathan@daylightcenter.org to schedule a time to meet with Michael. Sun May 3, Michael Kimpur Preaching at Stillwater Presbyterian at 10 am followed by Adult Forum at 11 am. Michael coming to Minnesota in April! We are so excited that Michael Kimpur is coming to Minnesota in April! All 6th – 8th Graders are required to take a national standardized test each year. This year Daylight took the test and our students were ranked 2nd out of over 150 schools in the West Pokot District. This was really impressive to the community because Daylight is one of the only schools that does not require students to pay school fees and it is widely known that our students are from poor or often parentless homes. 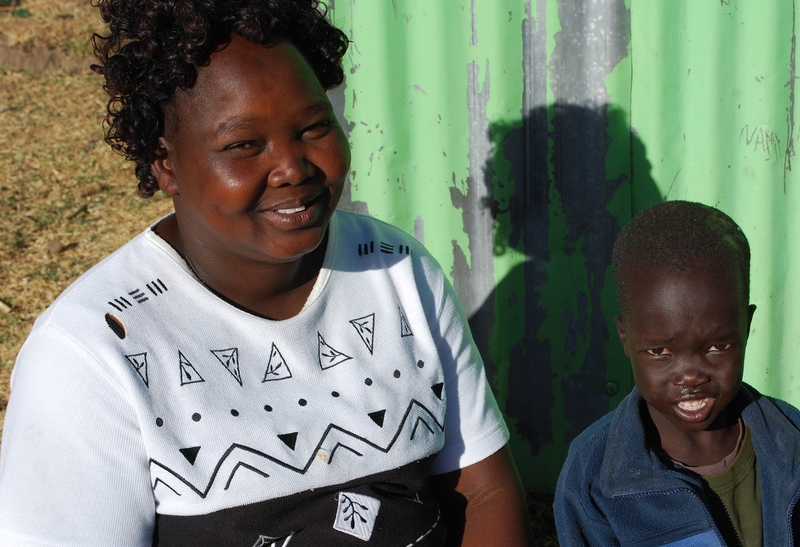 We wanted to share the story of Gloria one of Daylight’s top scholars. Gloria is in 8th grade and is the top English student at Daylight. Gloria is 13 years old and she loves to read. She loves to practice her vocabulary by reading her favorite book Pinocchio. She always smiles when she reads how Pinocchio’s nose grows whenever he tells a lie. 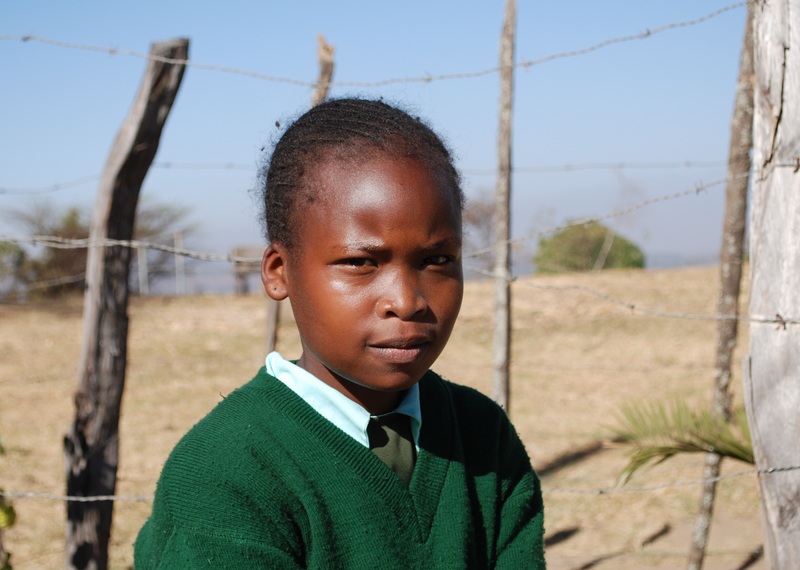 Outside of class Gloria loves hanging out with friends, learning from her encouraging teachers, and she likes to play volleyball on the Daylight field. 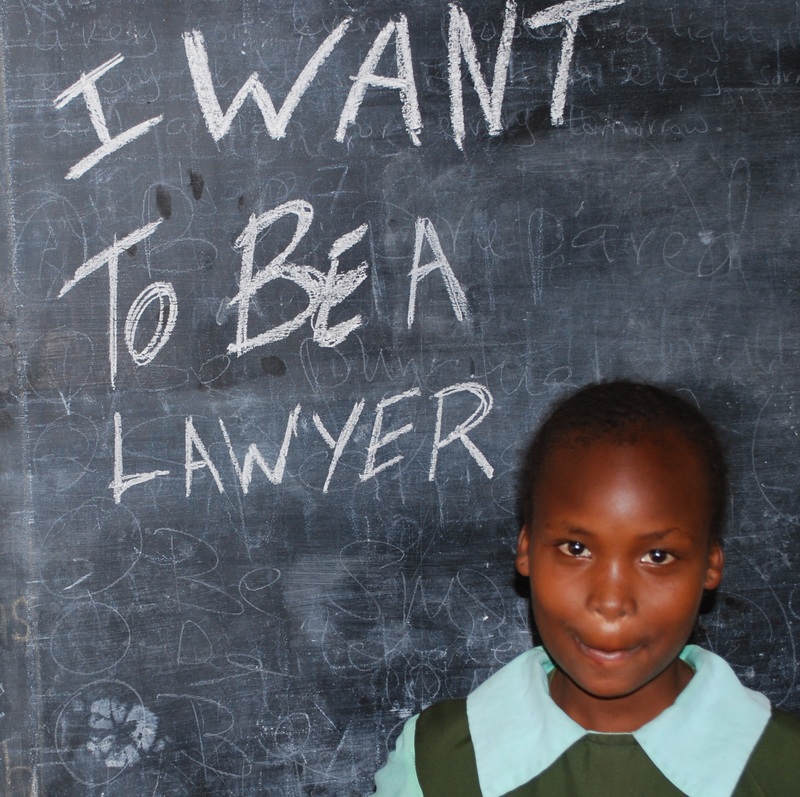 When Gloria grows up she wants to become a lawyer. She wants to help people who are being treated unfairly in her community. To fight for the rights of the poor people in her community that are often the victims of unfair treatment from the police and corrupt politicians. And Gloria has two great role models in public service. Gloria’s parents are both public servants and because of this they one of the few parents of Daylight students that can afford to make a small donation (20% of typical school entrance costs) to Daylight for their 3 children’s education. Which means Gloria and her brothers Wesley and Leon would not be in school without Daylight. Their mother is a volunteer 3rd grade teacher at a nearby school and she is pursuing a history teaching degree. 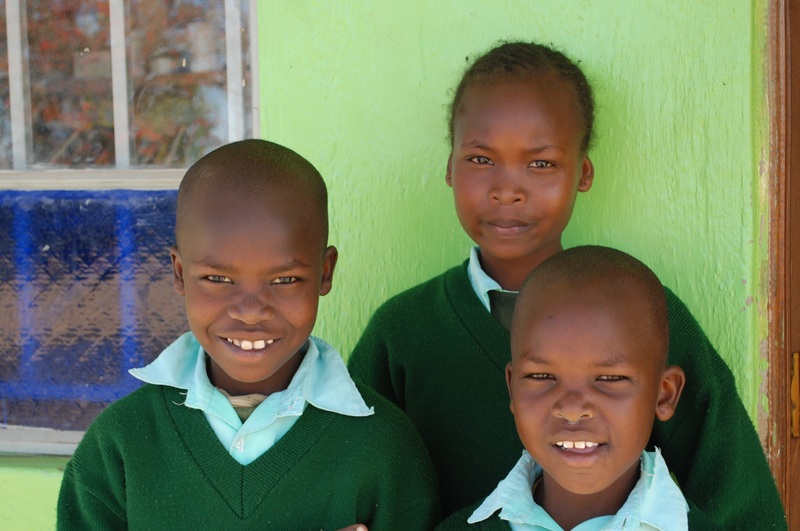 Despite her busy schedule their mom helps Gloria and her two brothers with their homework each night. Her father is a security guard 8 hours drive away in the capital city of Nairobi and he is only able to come home every other month. Her parents are very proud of their daughter’s achievements and are so grateful to the Daylight supporters for helping Gloria, Wesley, and Leon to be star students in their community. Daylight School has confounded the Skeptics and Amazed the Rest! 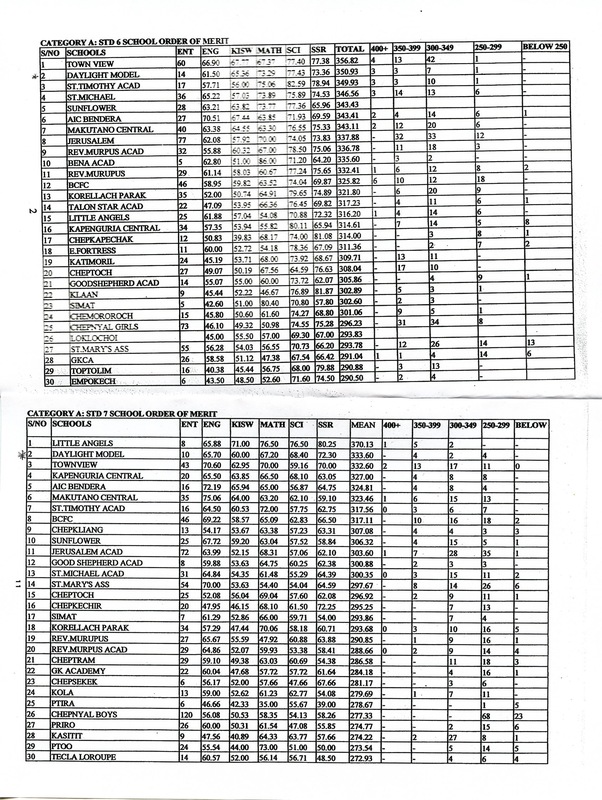 See Daylight Model Grade 6 & 7 (Kenyans say Standard -STD 6 & 7) National Test scores! In November, Kenyan students in Standard 6 and 7 (Grades 6 and 7 for us Americans) took the Kenyan National Education Test to see how their schools were performing. This was Daylight’s first chance to compare themselves to other schools. Many wondered why a school, whose students included orphans (2/3), had only been in existence for 7 years (thus their first seventh grade class and second sixth grade class), and who couldn’t afford to pay teachers the salaries offered at other schools, would even bother to take the test. Surely their students can’t perform at a level anywhere near that of the “better” schools. As you can see from the result pages copied above, Daylight kids are at the top of the pack. 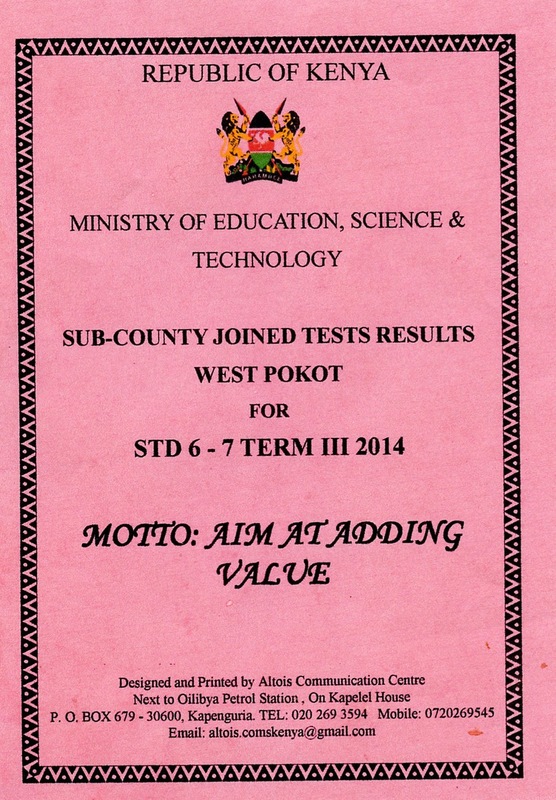 The sixth graders had the second highest score of 166 schools in West Pokot County (similar to a State in the U.S.) and the seventh graders scored second of 150 schools. In addition, Daylight sixth graders Kelvin Mnangat (highest scoring sixth grader in the country and, of course, the highest scoring boy) and Naomi Cheyech (4th highest scoring sixth grader and highest scoring girl in the county) were particularly bright stars. All of us who know and love Daylight should be very proud of the performance of the students, their teachers, and the entire staff. Daylight has truly become a model school. 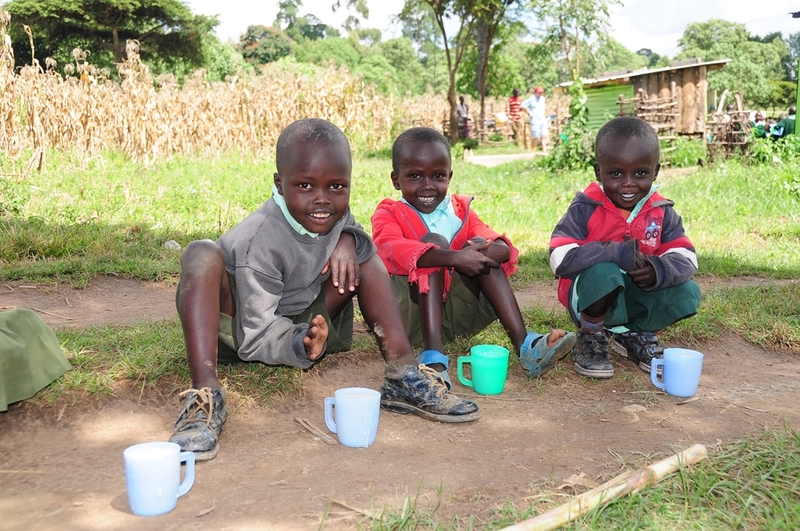 Giving the children love, faith, and nutrition has allowed them to thrive. Politicians and others paying high tuitions to send their children to schools outperformed by Daylight have contacted Michael, asking how they can enroll their children at Daylight. This is something that none of them imagined possible in the past. Thanks to all of you who support Daylight and its mission. Going forward, we encourage all of you to keep Daylight in your prayers. In addition, consider including Daylight in your charitable giving. Ongoing operational support via pledges is one of our biggest needs and allows Michael and the school to plan, improve, and offer stability to the children and the staff.